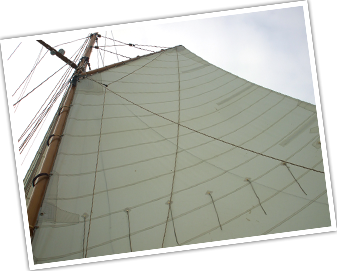 Maybird is maintained in a superb condition by the team that devotedly renovated her over a period of two years. 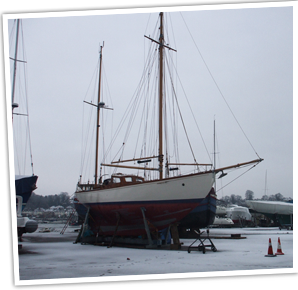 She has been refurbished true to her original design and construction using traditional British and Irish craftmanship together with all the conveniences of modern technology and facilities. She has a luxury shower, toilets and central heating; plus DVD player, ipod sockets and internet connections discretely hidden behind wood panelled cupboards. There are comfy bunks aboard to suit all, each with its own reading light. 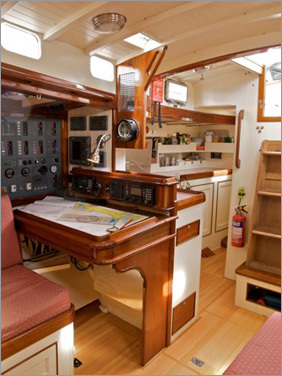 From the layout diagram it is clear that, as with most yachts, below decks is fairly communal with limited storage space. There is a separate toilet and shower area, but co-operation is needed to ensure each guest has the chance for some privacy if needed. Maybird has a comparatively large fridge and freezer and well equipped galley to ensure the preparation of fresh and hearty meals, often using food locally sourced and freshly bought (or caught) produce. It is easy to develop a healthy appetite from working blocks and winches so there is always a bountiful supply of wholesome snacks aboard for peckish moments. Crew are welcome to assist if they wish to contribute their skills and rustle up a Maybird special. 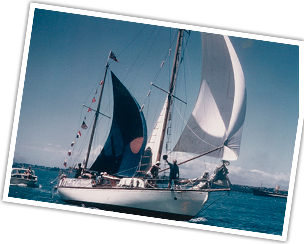 Sailing Maybird requires teamwork and a willingness to be involved. You will feel very much part of the crew, not merely a passenger, and technique is more important than strength. 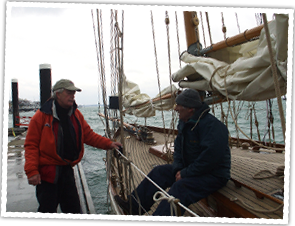 No previous experience is necessary as full instruction on classic sailing of a traditional gaff rigged ketch is given. 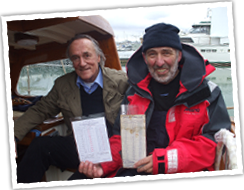 We supply good quality offshore waterproof sailing jackets and trousers, and a lifejacket/safety harness for everyone. But you will need plenty of warm clothes and your own kit bag.